The cause is one that is very close to the heart of Bath Ales head brewer Gerry Condell. When burned in a brewing-related accident, Gerry received treatment at Bristol’s Frenchay Hospital, where he first learned about the burns unit children’s support group – The FAB Club – which provides ongoing support to burn-injured children and their families from injury through to adulthood. 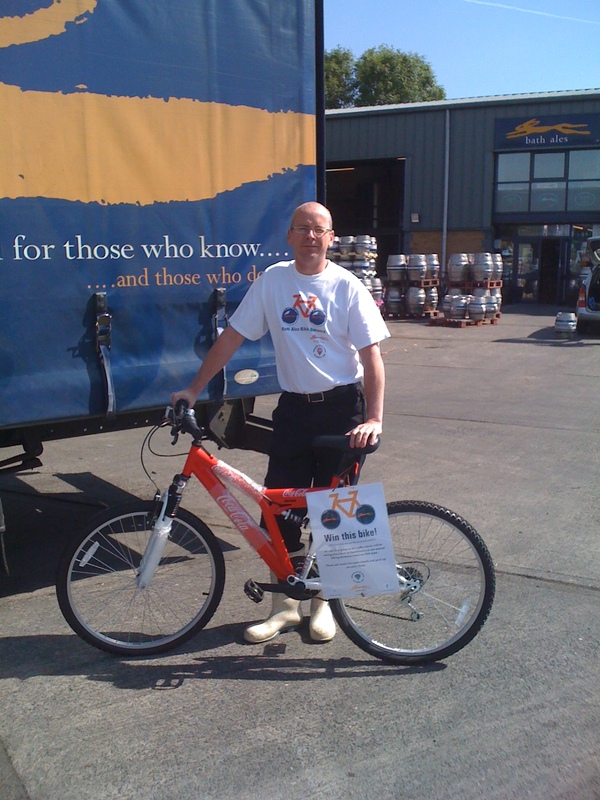 Inspired by their good work, Gerry (pictured above) has organised the Biking Bonanza: a charity bike ride along the Bristol-to-Bath cycle path. A variety of possible routes means that the bike ride will suit all abilities, and from midday onwards the Bath Ales brewery in Warmley (the halfway point on the ride) will be providing food, refreshment and live music. Entry costs £12.50 per adult, with proceeds going to The FAB Club. Children under 18 can enter free of charge, but must be accompanied by an adult. The entry cost also includes a special hi viz cycling vest and a voucher for free food from the barbecue. For more information, and details of how to enter, have a look at the Bath Ales website at http://www.bathales.com/bonanza.